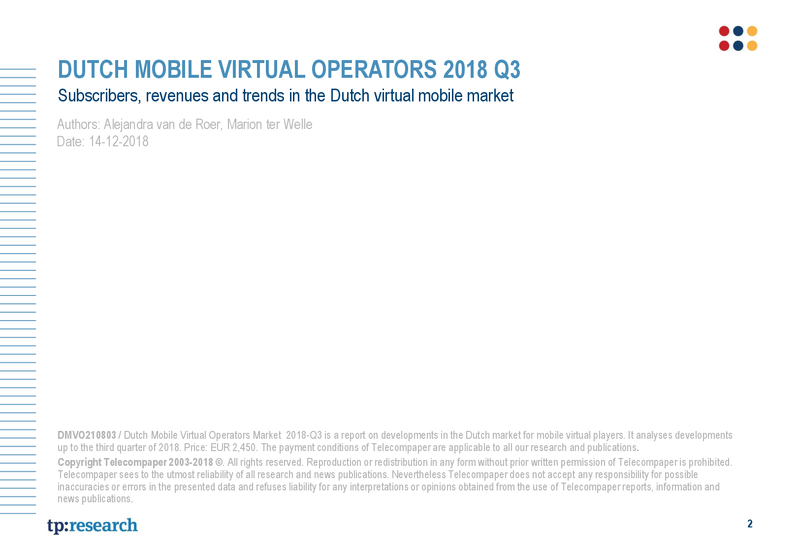 This report covers the virtual operator market in the Netherlands (MVNOs and second brands of MNOs) as of the third quarter of 2018. 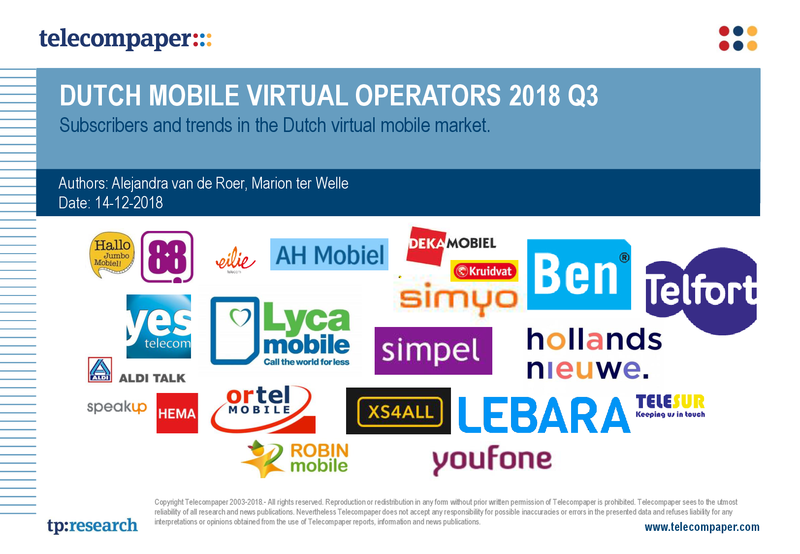 It has an operational focus, commenting on subscriber numbers and mobile service revenues, market shares, marketing spending and related developments, rather than a financial focus. 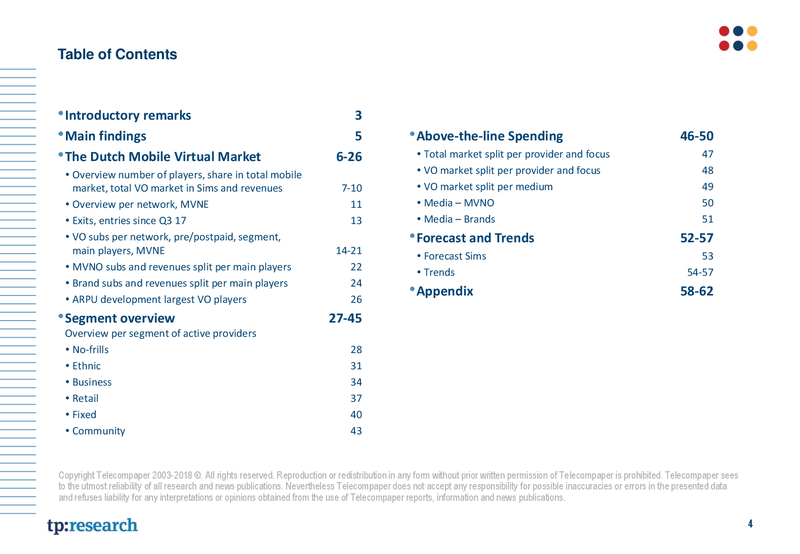 This research document also provides access to company profiles of the top 15 players, upon request other profiles can be provided. 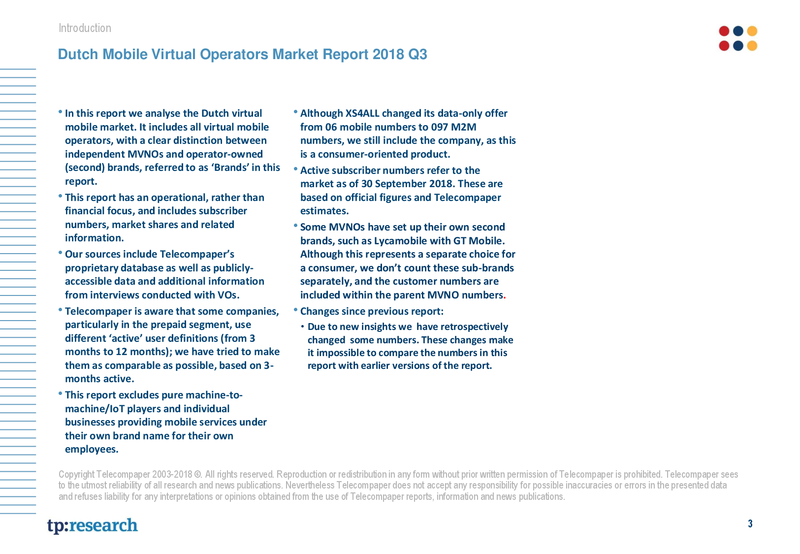 The analysis is based on Telecompaper's continuous research into the development of the Dutch mobile virtual network operators market. The focus is on all types of virtual operators, as well as service providers and MVNEs. Over the years we have built up multiple unique sources of information we can use. We understand your specific business needs and can provide you with customized information. As a company we operate independently and objectively. By our unique focus on the telecommunications industry, we have become specialists in this particular field. Using our multiple data sources we are able to quickly provide you with te requested information. Our experienced researchers and editors are trained to work fast and accurately.